What a fun ring! The look of a square, but holds the round original Dots. The detail of the roping adds a beautiful contrast and accent to the plethora of Dots to showcase in this ring. Love love love!!!! 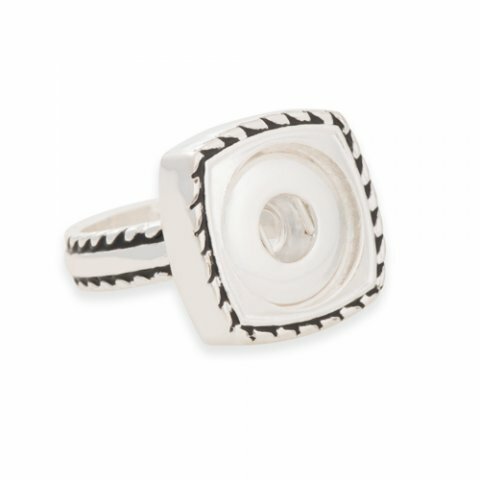 I love to wear the round Dot in this ring. Gives it a different look. I get many compliments on this ring.